Melodee is Dr. Teutsch’s Office Manager. 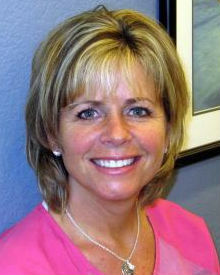 She has been with the practice since 1987, and has been involved with dentistry since 1975. 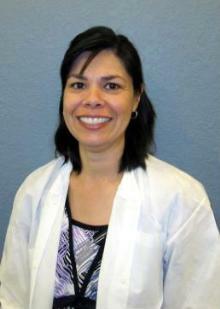 She is a Registered Dental Assistant (RDA) and Certified Detal Assistant (CDA). When asked her favorite thing about working in dentistry, Melodee says, “I like the people I meet and the people I work with." Melodee, a native Californian from Castro Valley, has been married for 32 years and has two grown daughters. When not working with Dr.Teutsch and the team, she enjoys rock climbing, playing piano, gardening and volunteer work with her church youth groups. Julia was born and raised in Los Angeles, California. She now lives in San Ramon with her husband and two daughters. She enjoys bike rides with family, cooking, and gardening. Kristen received her B.S. degree in Dental Hygiene in 1998 from the University of Iowa. Growing up in the big city of Des Moines, she insists she is not a farmer’s daughter. 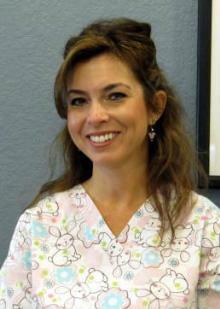 Kristen has been with Dr. Teutsch since 1999. Kristen loves her personal interactions with people. She says, ”I have the opportunity to get to know 8-10 people a little better every day." Kristen is our sports enthusiast. She coaches and plays softball, loves to play golf, and watch college sports. Kristen loves working with kids. She volunteers at her two children’s middle school. Kristen and her husband, Lars, have been married for 17 years. 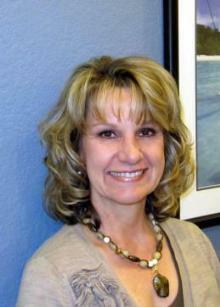 Linda has been in dentistry for 29 years, a hygienist for 25 years and has been with Dr.Teutsch for 10 years. She has a B.S. degree. Dental hygiene has been a very rewarding career for Linda. She says, "I really have enjoyed all the wonderful people I get to meet, befriend, and help every day." Born in Castro Valley, Linda has been married for 12 years, with a blended family of five children. When not at work, she likes to spend time with family. She also enjoys running, reading and gardening.